Cook shrimp in desired method. 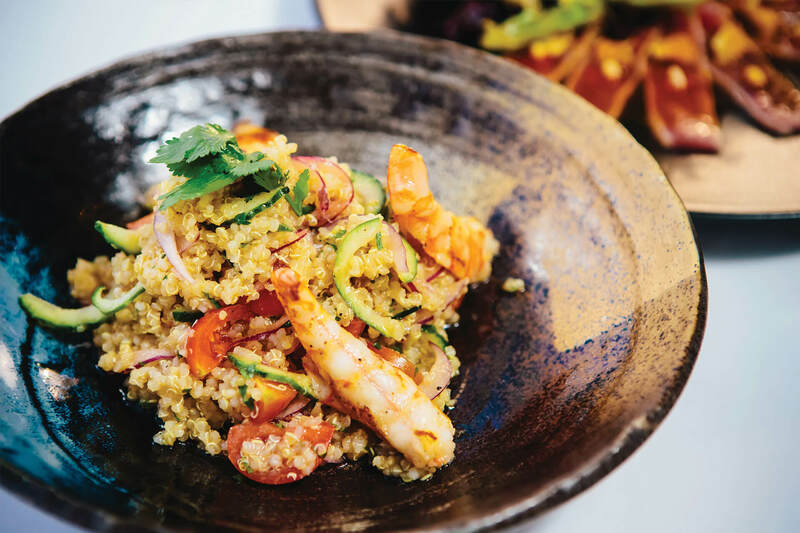 Toss cooked quinoa and shrimp together in a large bowl. Add lettuce and slice avocado. Top with sliced cherry tomatoes and lemon juice, if desired.